NEW! Event Packing and Shipping Services. 'Onsite and Online' shipping services are ideal for your Meeting, Show, Event and Group Travel client?s needs. 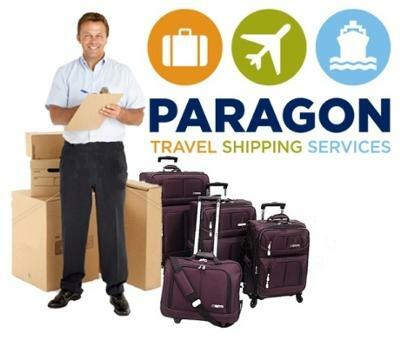 Paragon Travel Shipping Services provides distinctive and individual alternatives to the hassle of carrying added luggage and post-meeting materials through airports. Working directly with meeting and event planners, show producers, resorts, hotels and conference venues, and their staffs; Paragon provides packing and shipping services normally not available through smaller or mid-sized conference and event venues. Attendees and group travelers can bring their items directly to Paragon's lobby or pre-arranged 'Onsite' location for our packing and shipping of their items (boxes and packing materials included), before they pack their luggage and check out of the event location. Paragon works exclusively with FedEx (only), the world's most respected shipping company in support of its "onsite' shipping services. Our uniformed national teams of professionals will set-up a location adjacent to your event or in a lobby area and then it's as easy as 1,2,3, 4. "Pack, Weigh, Pay and Ship." Contact Craig Andrews at CraigA@paragontravelshipping.com or call 800 888-5410 for minimum requirements. Also, log onto our website to learn about our Paragon Business Shipping Partner program - get "Online" FedEx shipping quotes for your items and subscribe to our Pre-Paid Shipping label program. Contact Craig Andrews at CraigA@paragontravelshipping.com or call 800 888-5410 for details.